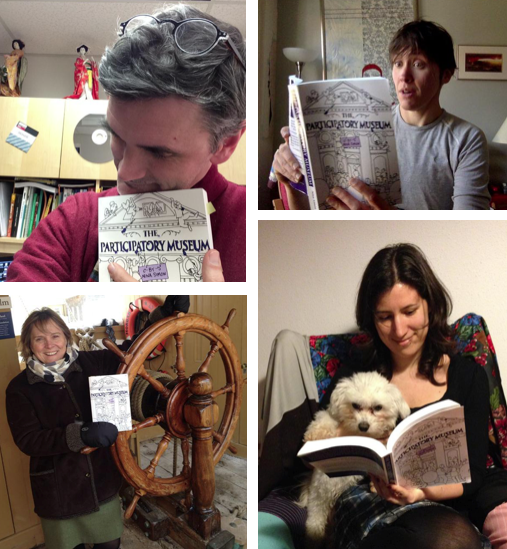 This week marks five years since the book The Participatory Museum was first released. By many measures, the book has been a success. Over 20,000 copies have been sold around the world. Over 150,000 people have accessed the free online version. I've given talks and workshops about it all over the world. Weekly, I hear from someone who is putting ideas from the book into action. Across the museum field, the questions about visitor participation have gone from "what?" and "why?" to "how?". I feel lucky to be a small part of that change. That said, there are a couple big things I got wrong in the book - or at least, that I've changed my perspective on since writing it. When I wrote the book, I was coming from the perspective of an exhibit designer. I thought the pinnacle of participatory practice was an exhibit that could inspire collective visitor action without facilitation. A black box with people crowded around, talking and sharing and making and doing. Now, I look back on the book and the biggest thing I see missing are the people inside that box. If participation was my mantra from 2007-2011, community has been my mantra since then. Over the past four years, I've been running a small regional art and history museum in Santa Cruz, CA. Our museum is highly participatory: plenty of opportunities for visitors to contribute, for artists to collaborate, for community members to co-create. But almost ALL of those opportunities are facilitated by people. Those people are driven not by the design precept of participation. They are driven by the human precept of inclusion and involvement. I no longer feel like the "best" forms of participation are unfacilitated. Like many engineers, I think I was overly presumptuous about what design could do on its own. Since 2010 I have seen, again and again and again, how valuable human facilitation is to the participatory process. Humans empower each other. Make space for each other. Invite each other in. Cheer for each other. Build community. Five years ago, I was fixated on unfacilitated participation because I thought it was much easier to scale than facilitated participation. It is. But I've learned that humans can be agents of scale too. Every time we encourage a volunteer to launch her own collections research, or empower teens to launch their own program series, or invite new partners into our projects, we invite them to participate. That participation is powerful and scalable. We just have to think differently about how we craft job positions and expectations. We tell all our new colleagues: you will not be judged on what you do but how you empower others to do. We need employees who focus less on creating experiences directly for visitors and more on creating platforms for visitors to share with each other. Then, participation can be scalable--and human, too. When I wrote The Participatory Museum, I wrote about participation as a design tool--a wrench that could be turned to reach certain goals in a cultural setting. As a designer, I wanted to present participation as "value-neutral," or, as I wrote, another technique "for the cultural professional's toolbox." I acknowledged that participatory projects best support goals like relevance, dynamism, personalization, socialization, and creativity--but I avoided much argument about why those goals might be more more important than others. This choice was strategic. I didn't think the field needed another argument for "why" participation. I wanted to dive into the "how" instead. But this choice also belied my background as an engineer and designer--someone trained to think of tools as apolitical. Over the past few years, I've learned that participation can be highly political. When you seriously value the diverse experience and knowledge of community members, you challenge the traditional assignment of knowledge authority. I always knew this cognitively, but over the past few years, I've experienced it directly and viscerally. Our greatest champions and our loudest critics agree: our museum has become an inclusive community gathering place. Whether you think that's incredible or a disaster depends on your point of view. Terms like "inclusive," which have become commonplace in the field, are still highly contested when put into action. I know we're doing something right when community members are arguing about it. Over the past year, our board and staff have leaned into the political nature of what we do, developing a theory of change with community impact at its heart. I've gotten more comfortable and more confident with the idea of the museum as political body that advocates for empowerment and social bridging. When we really live our mission, that's where it takes us. But that's just our institution--not everyone's. I still feel strongly that there is no universal reason to encourage visitor participation. What is participation for? Is it intended to increase learning? Empowerment? Social bridging? I don't care what your reason is... as long as you have one. The reason, the mission, the underlying goal--that's what fuels me now. I don't identify as a designer/engineer the way I used to. I identify as a community activist. And if I ever write another book, it will probably be about that. 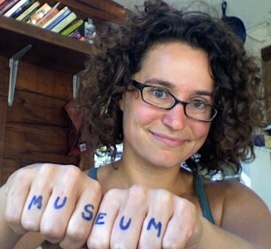 I'm curious to know: has The Participatory Museum played a role in your work? What do you think has changed around these issues in the past five years? If you are reading this via email and would like to share a comment, you can join the conversation here.